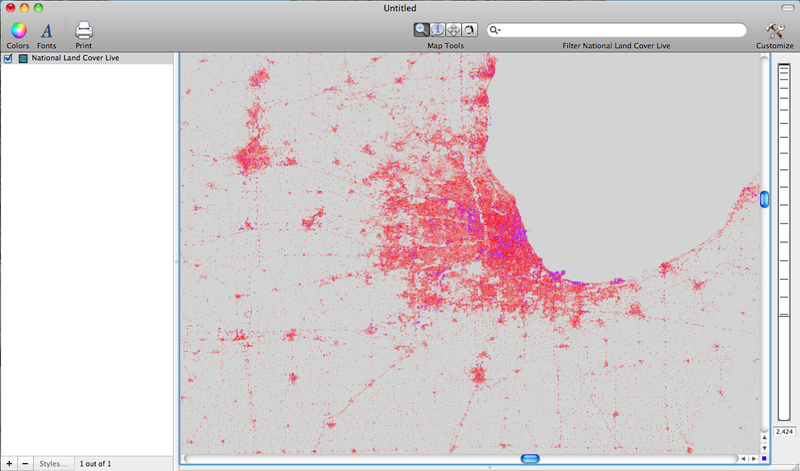 Cartographica makes retrieving and displaying Web Map Service data very simple. Cartographica comes out of the box with several WMS links already incorporated into the program. However, the list of available WMS data available online is much broader than what is included as a link with the program. In this post I will show you how to find additional WMS data and then how to add and display the data using Cartographica. The methods for finding WMS data is as much an art as a science. The most effective method for finding WMS data is doing a Google search to see what you can find. If you have a specific interest you may want to organize your Google search to fit your interests. However, if you have a broad interest you may just want to search some general terminology. In this post I found WMS data available at the U.S. Geological Survey's Seamless data portal, which provides several data sets. 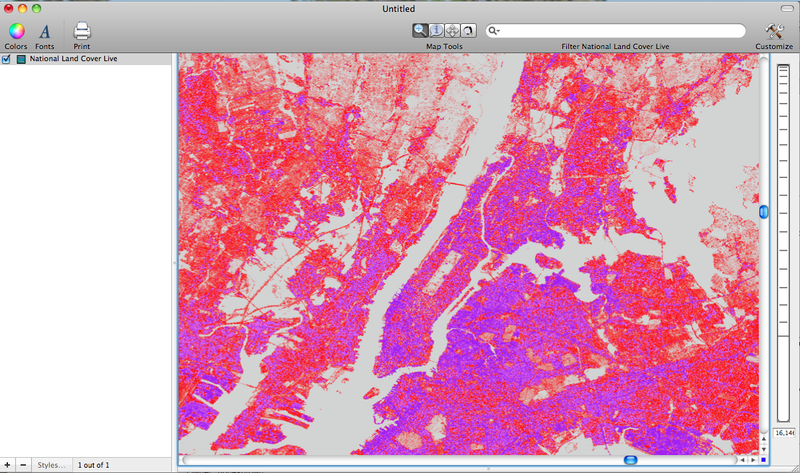 I used the National Land Cover data set for the year 2006. In order to get the WMS link click on the Get Link option in the middle of the USGS window. In order to get the WMS data imported in to Cartographica click on File > Acquire WMS data to bring up the import WMS data window. Then click on the "+" button to add a new WMS. 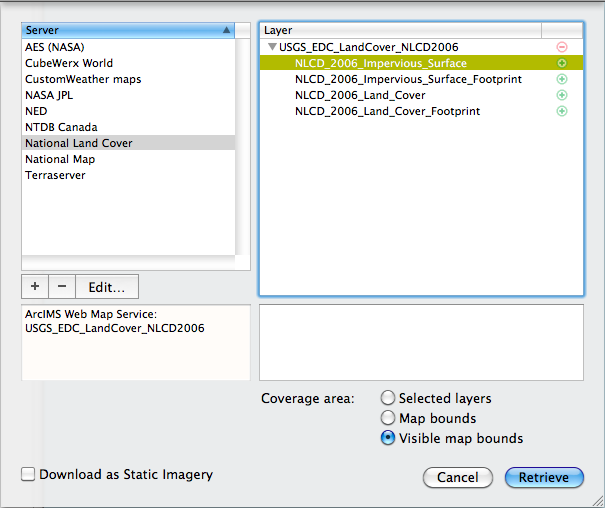 Type in the sever name and then copy and paste the link from the USGS window shown in the first image. To add the WMS data to the map Click on the newly created National Land Cover WMS link and then choose a layer that you would like to add. The second map shows the New York City area. Central Park is clearly visible in the center of Manhattan. Finally, After you add a WMS data set you can incorporate other data to be used with the WMS data. An Example of this is shown in image five where local Metro Rail line data from Washington D.C. is overlayed on the USGS WMS data.